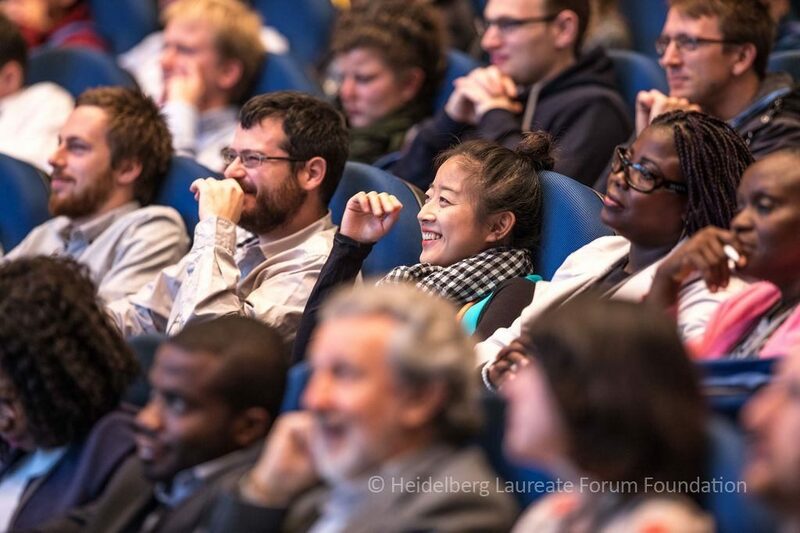 Nana Liu and other participants enjoying the lectures on Friday, September 29, at the 5th HLF. In Episode 38 of his popular podcast Meet the meQuanics, Simon Devitt discussed the 5th HLF with Nana Liu of the Centre for Quantum Technologies of the National University of Singapore and Singapore University of Technology and Design. Liu was a member of #HLF17 Blog Team and in addtion to her experience at the HLF, they dove into her work in quantum technology development. Nana Liu is currently a Postdoctoral Research Fellow at the Centre for Quantum Technologies in the National University of Singapore and also at the Singapore University for Technology and Design. She has recently completed her PhD in Atomic and Laser Physics at the University of Oxford and specialized in finding quantum resources responsible for quantum advantages in both quantum computation and quantum sensing. At the moment, her research focus lies at the interface between quantum computation and security, which relies on the cross-pollination between physics and computer science.